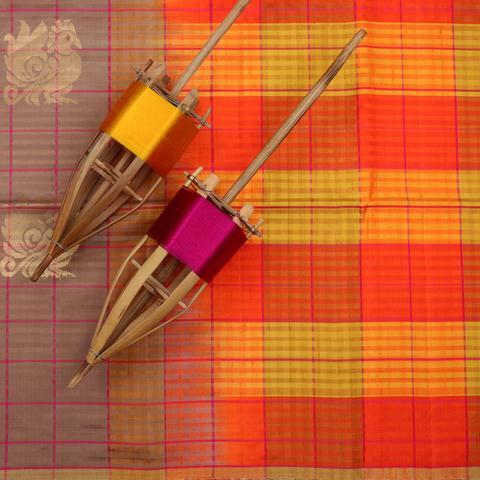 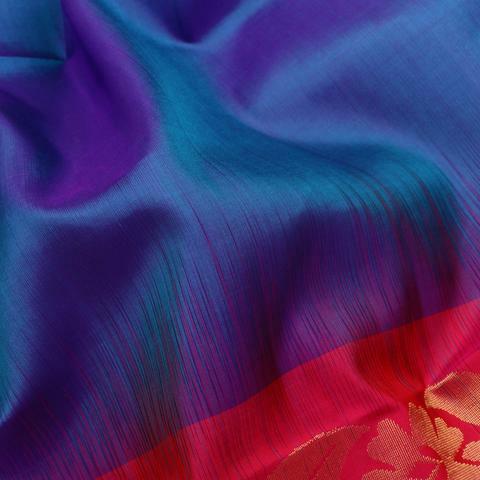 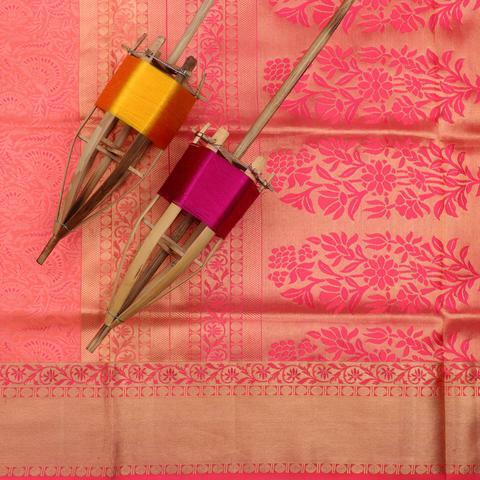 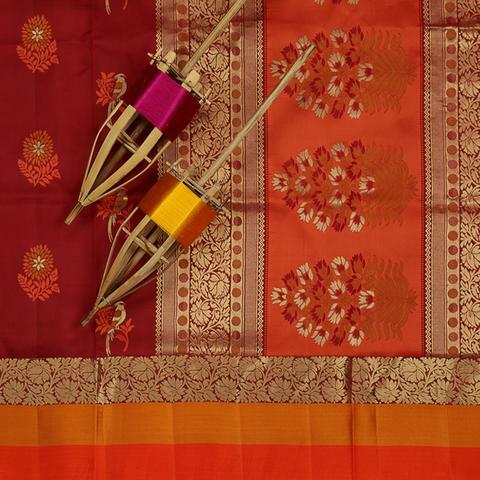 This slightly Greeny Blue drape is supported by the broad Ganga-Jamuna border with the Orange on the top and the prettiest zari jaals in Pink on the bottom. 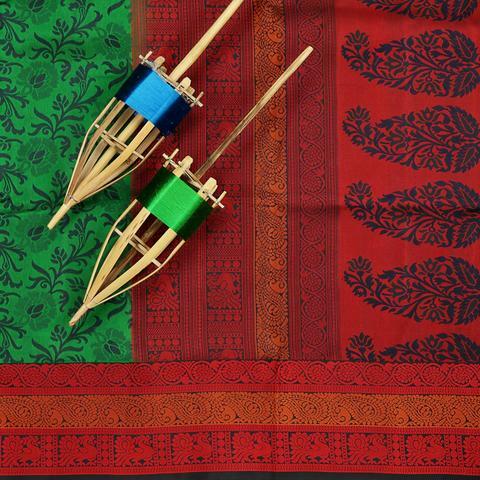 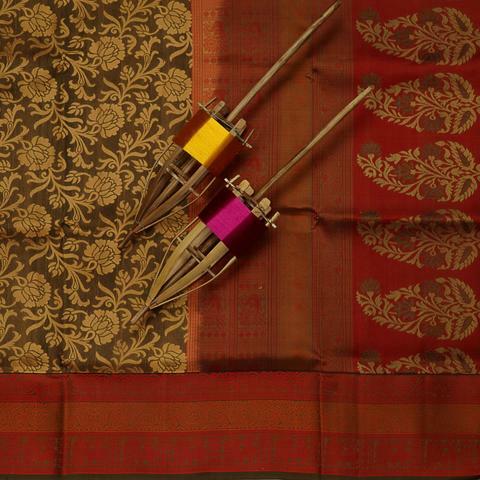 The whole saree is outlined by the thin gold and silver zari lines. 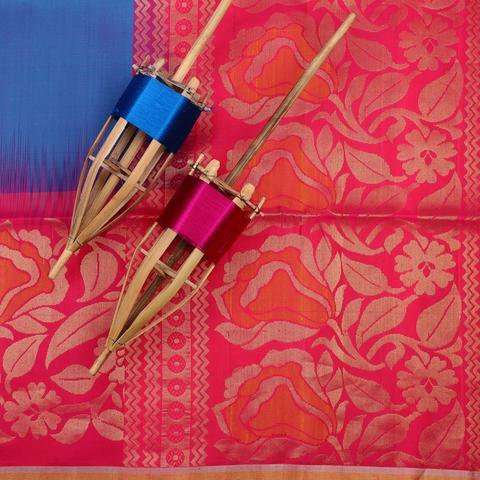 The lovely jaals line up the Pink pallu and is paired up with the dupion silk Pink blouse. 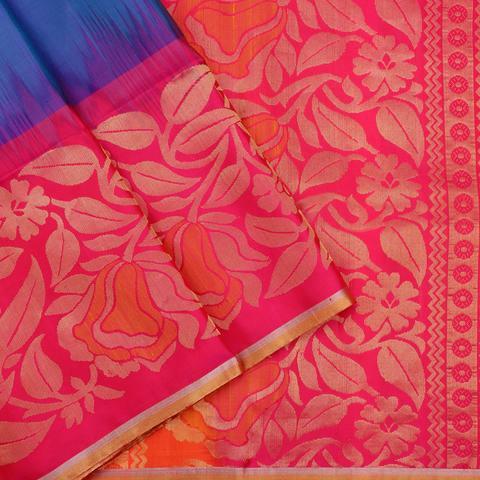 Purchase this product now and earn 10257 Points!